Gelato Bikes for sale! 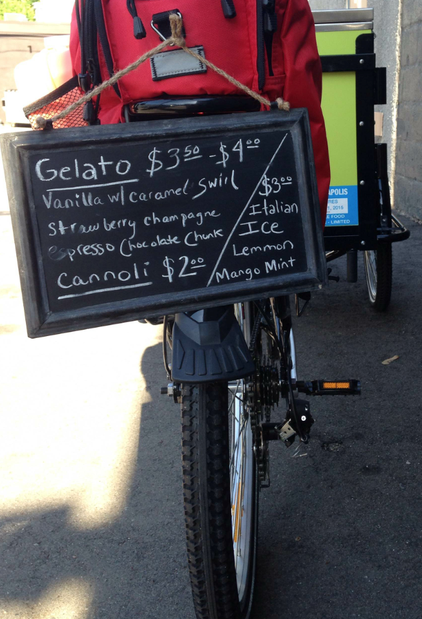 Icicle Tricycles custom builds gelato bikes for vending, marketing, and product distribution. 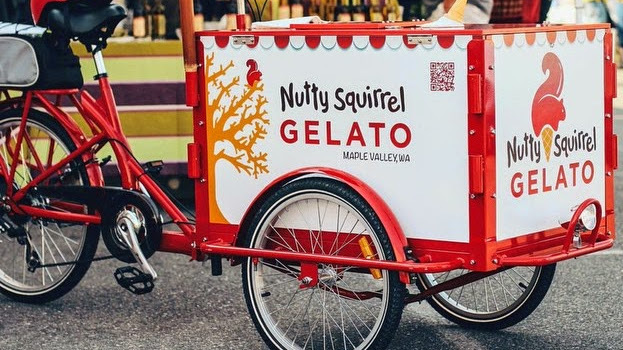 A Gelato Bike is the perfect low-overhead, environmentally sustainable, carbon neutral, mobile gelato ice cream business solution. Hand Built to your specifications and shipped to you, fully constructed and ready to ride when it arrives! Just hop on and roll out. That’s it! 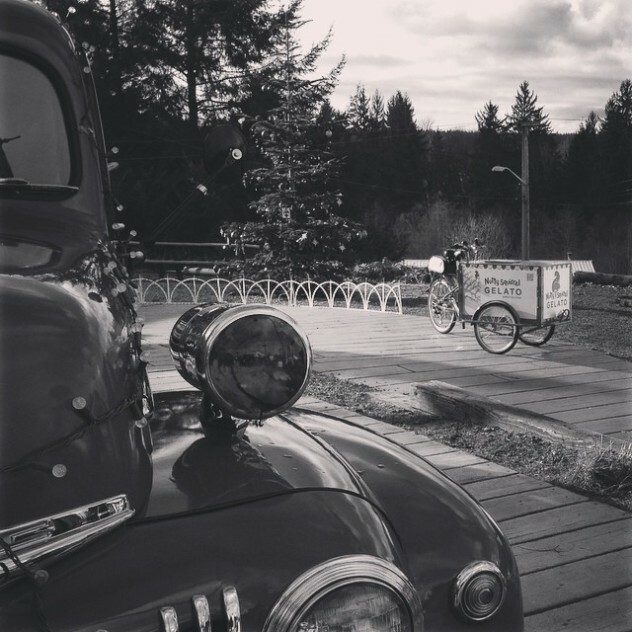 Icicle Tricycles has a long and dedicated history vending by bike. Our company has refined our Gelato Bikes to be the best! 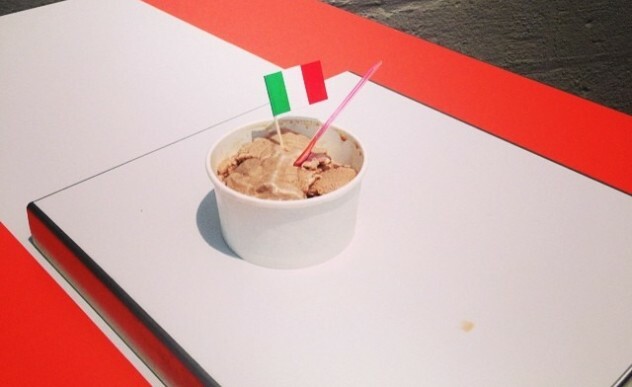 We’re always drawing up innovative ways to make our bikes be everything you need to start your own gelato business. Ideal for catering events with cold treats. Ride in and hand out icy snacks at weddings, birthdays, family reunions, company team building exercises, or private parties in style! Or just roll out wherever you feel someone might be in need of a cool treat! 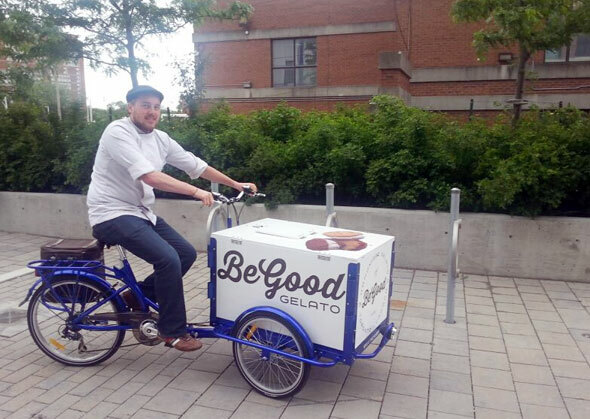 With a Gelato Bike you’ve got a business that can be anywhere at anytime, and without any fuel costs. Pedal powered economic magic! It also makes you stronger. Strengthen your leg muscles, tone your abs, and exercise your motor skills – all while making money! A perfect mobile business for farmers markets, sporting events, tailgate parties, or public parks. 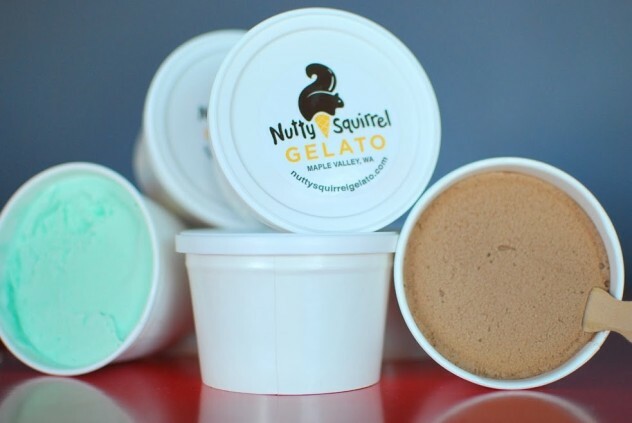 Contact us today to get your mobile gelato business rolling! Scoop Handmade Ice Cream Icicle Tricycle! Scoop Handmade Ice Cream Icicle Tricycle!, a photo by portlandpedalworks on Flickr. Icicle Tricycles built a custom wrap Ice Cream Bike for Scoop Handmade Ice Cream! 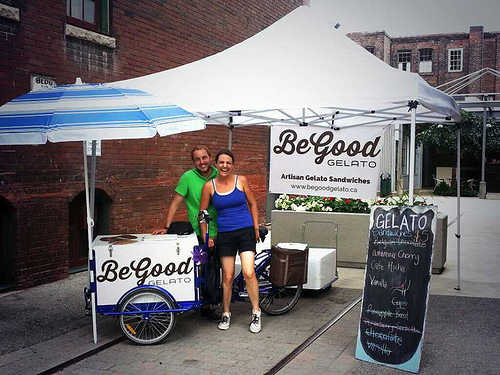 This Ice Cream tricycle pedals all over Portland, delivering great ice cream to farmer’s markets and events! Via Flickr: Scoop Handmade Ice Cream Icicle Tricycle! El Jimador Margarita Bike by Icicle Tricycle! Icicle Tricycles built a fleet of beverage vending, product sampling, and delivery bikes for our Culinary Cruisers. These fellows put the bikes to work at farmer’s markets, vending organic sodas and paletas, and local cargo bike delivery. Icicle Tricycles built one of our cedar coffee bike for a customer, Brewcycle Coffee in California. The Brewcycle Coffee bike was custom fitted by the customer with an espresso machine to serve coffee on the go! Petals on Pedals: Portland’s Bicycle Florist! Icicle Tricycle Cedar Cargo Bike holds the World! Icicle Tricycle Cedar Cargo Bike holds the World!, a photo by portlandpedalworks on Flickr. Icicle Tricycle Cedar Cargo Bike holds the World! New Ice Cream Tricycles for Sale & Product Sampling Bikes for sale! Icicle Tricycles has just built a new fleet of Ice Cream Vending Bikes for sale! These Icicle Tricycles will be used to vendor beverages and as product sampling bikes, in addition to vending ice cream. You are here: Home > New Ice Cream Tricycles for Sale & Product Sampling Bikes for sale!